Have you already eaten that chocolate candy heart that was meant for your loved one? Don’t feel bad, you are in good company. 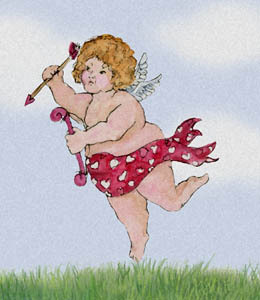 Don’t be too disappointed if your romantic dreams remain unfulfilled because of Cupid’s failure to show up this year. It appears that he packed on a few extra pounds binging on cream-filled valentine chocolates and is experiencing trouble getting off the ground because his overindulgence resulted in him exceeding his maximum gross takeoff weight.